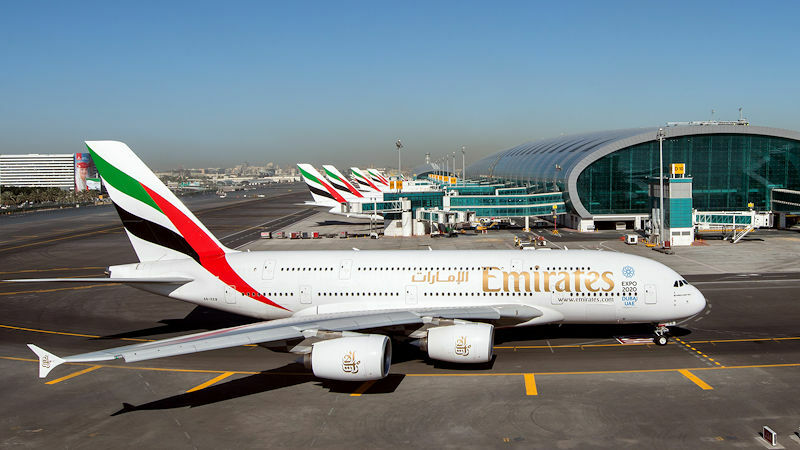 Emirates will ground up to 48 aircraft and reduce flights by 25 percent during a planned closure of one of Dubai International Airport’s two runways in April and May. The 45-day closure of DXB’s southern runway is due to extensive maintenance work required on the heavily used strip. In addition to the service update caused by the runway work, the Dubai-based carrier announced schedule changes for the year ahead. These include more flights to Africa and Europe, but a reduction in Sydney services. The airline’s president, Tim Clark said the airline is “agile in deploying our aircraft to destinations where it best serves customer demand. Flights between Dubai and Africa will see service increases, with Casablanca getting an extra daily flight, and Abuja, Accra, Conakry and Dakar additional weekly frequencies. Multiple European cities will also be served by extra flights during the peak summer travel season. Athens gets an extra Boeing 777-300ER flight daily, with an Airbus A380 operating the service during the Dubai runway closure. Rome will have three daily flights for the summer, and Stockholm gets a second daily frequency for July and August. Zagreb will once again have a daily seasonal service to Dubai. Glasgow’s twice daily 777-300ER service will be replaced by a single daily A380 flight during the Dubai runway maintenance, the first scheduled superjumbo service at the Scottish city. Boston also gets the benefit of seasonal A380 service to cater for seasonal demand. Sydney is not so lucky though, with one of its four daily Dubai flights stopping on June 1. The service routes through Bangkok and is less popular than the direct services.